Sip, Snack, and Shop for a Cause! ***NOTE: this event has been rescheduled due to inclement weather, now taking place on March 14. 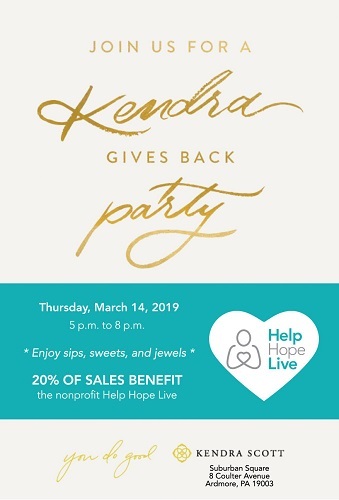 From 5 to 8 p.m. on Thursday, March 14, 2019, enjoy a Kendra Gives Back Party at Kendra Scott in Suburban Square in Ardmore. 20% of sales benefit Help Hope Live. 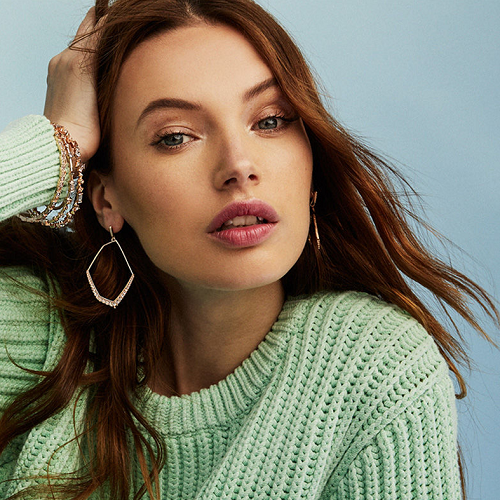 Browse beautiful Kendra Scott collections online.